Planes, Trains, and… Nope, Just Buses. 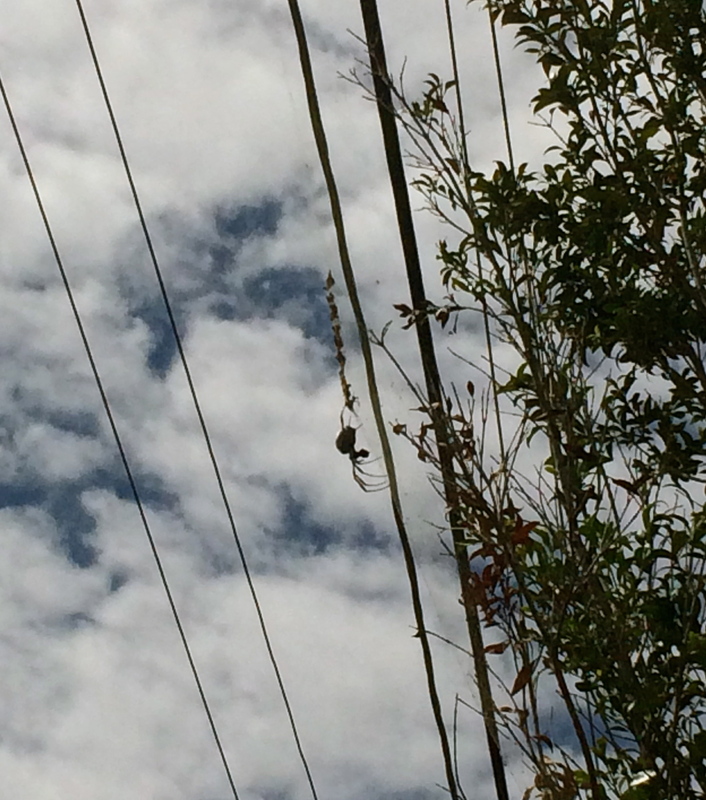 Excerpt from Spring 2014 student Heather Douglass’ blog “A Semester in Australia”. Reproduced with permission. Bear with me as I take a moment to say that professors who deeply care about their subject and students make ALL the difference in the world, regardless of the country they are in. I have the privilege to be a student of two of the most knowledgeable English professors I have ever met and their passion for both Shakespeare and literary criticism is truly infectious. My professor that teaches the latter subject was absolutely convinced that I had been a student of hers before, even after I had reminded her multiple times that I don’t even live within 8,000 miles of this continent. She was so adamant about having met me a few years ago that eventually I gave up. It was a precious moment. On Thursday, we hiked to a lookout at the top of Mt. Gravatt, which isn’t particularly strenuous, but due to the humidity, we looked similar to drowned rats. It was an absolutely gorgeous sight to take in as we looked out over Brisbane and could see the skyscrapers in the distance. Australia is absolutely g-o-r-g-e-o-u-s (if I haven’t said that enough). This country/continent is out of control beautiful. It still continues to blow me away at thinking about how blessed we are to be here and to be able to experience all of this for such a short amount of time. My host family also continues to bless my heart and make me feel right at home everyday. Again, I cannot say enough wonderful things about them. We’ve met some pretty awesome Australians and I have slowly been learning the differences in language, politics, products, food, wildlife, and much more from my host family and new friends. Beck, my wonderful host sister, has explained to me the differences in our Emergency response services (ie: EMT’s vs. Paramedics) as she is working on her Paramedic training and has given me many other nuggets of Australian wisdom. She also taught me how to quickly exterminate Huntsmen spiders, the smaller-bodied equivalent of tarantulas, which are fairly common here. I hope and pray that I never have to put those instructions into action because I hope and pray that I never come across one of them. Brandon, my host brother, is currently working on composing a four-part harmony to Radioactive by Imagine Dragons on the piano and I really hope to hear it at some point before I go. That kid is so, so talented. Let’s also take a quick moment for you to go to your garage and give a great big hug to the car that you drive on a daily basis (if you have one). Or your friend’s car. Or your grandparent’s car. I for one, will never, EVER, take for granted my car at home in the States again. What is probably a twenty-minute drive for some students turns into upwards of an hour and a half to two hours to get to school/work/home. For those of us (my hand is up) who do not use public transit regularly, this has been quite the adventure, not only in figuring out which bus to take, but also becoming familiar with new streets when discovering which bus (or buses) not to take. Picture the quintessential American with two iPhones in hand raised toward the sky, wandering the streets with a backpack in the humidity, and making faces at the GPS that doesn’t work after having just stepped off of the third connecting bus. That is me. That is exactly what I look like, also probably what most of us clueless Americans look like here. It’s been swell and I now know the surrounding cities and that the mall down the road is the reference point for anything to do with transportation. Miss you all and if you’re still reading, I’m sending you a big Australian hug. Our first day of school! 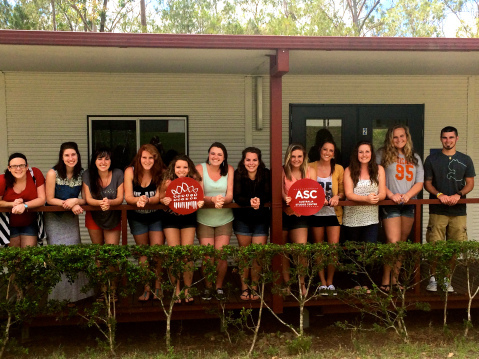 From left to right: Sarah, Ashley, Lauren, Talia, Alia, Bree, Morgan, Cara, Kayla, Heather, Hailey, and Zach. (Not pictured: Abby and Arionna). We found this guy (or girl) on our way through a neighborhood. Not pretty. 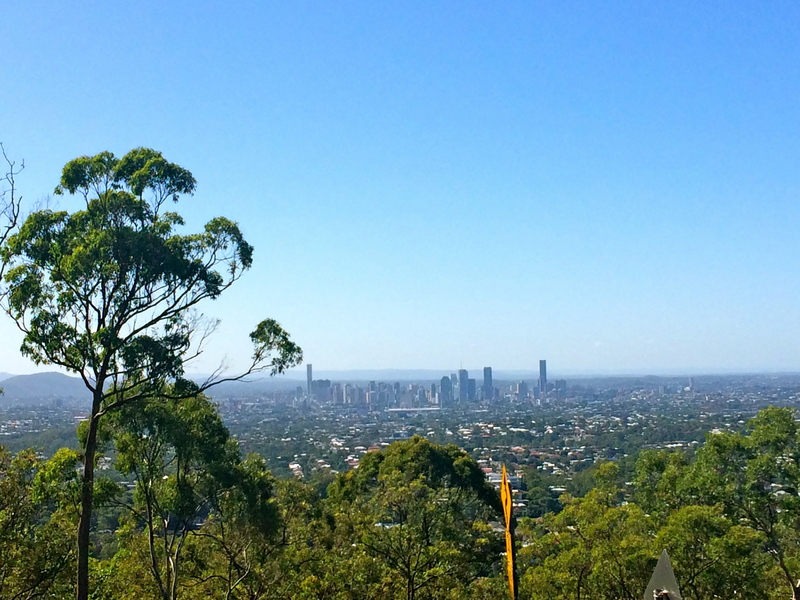 The beautiful lookout at the top of Mount Gravatt.